Now that summer is well and truly over and the nights are drawing in, it’s easy to find yourself longing for a little reminder of summer before the winter months really start to set in. The October half-term is the perfect time to take the family away, feel the heat of the sun soak into your skin and relax before the Christmas madness begins. People tend to think that Europe is a no go zone for sun seekers from the end of September onwards. Yet this simply isn’t the case. The Canary Islands, sitting just off the shoulder of Africa, stay warm all year round with October temperatures in particular reaching 26 degrees. This week we asked our friends at ITC Luxury Travel which Canary Island they would recommend for October 2016 and more importantly, where you should stay. Tenerife has proven a popular destination with the ITC Luxury Travel team this year. Known as the island of ‘Eternal Spring’, Tenerife enjoys more hours of sunshine than any other part of Spain – although admittedly its southerly location gives it a bit of a head start on this! 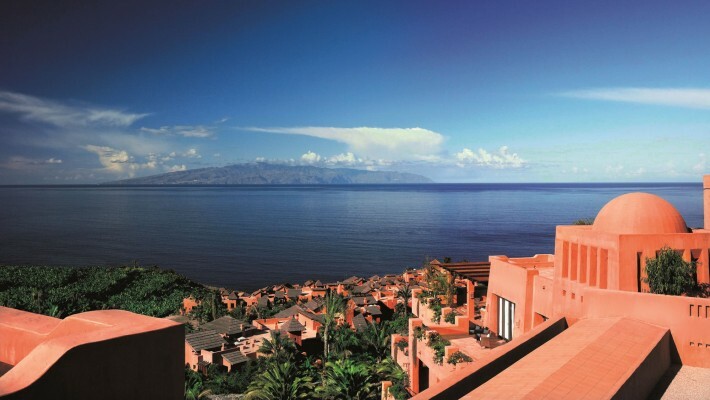 ITC recommend staying at The Ritz-Carlton, Abama, a luxury island hotel, located on the Guia de lsora coast of Tenerife. The hotel is set in an idyllic natural environment overlooking the Atlantic Ocean’s brilliant blue waters. The hotel’s amenities include an 18-hole golf course designed by renowned course architect and former pro Dave Thomas and a luxury spa where every treatment becomes a unique and personal occasion. The Ritz-Carlton, Abama, is also a family resort that hosts facilities that ensure children stay entertained, allowing you and your partner that all important one on one time. The children’s programme runs every day from 10am until 6pm hosting a variety of activities from face painting to cookies workshops, all of which are aimed to develop and educate. On top of its 2,500sqm Spa and the golf course, the hotel also boasts 7 swimming pools, 7 tennis courts, 4 paddle courts and 10 dining options, including its Michelin star restaurants M.B and Kabuki. With so many activities to choose from and practically guaranteed warm weather, your stay at the Ritz-Carlton, Abama, is sure to be an unforgettable one. For a family of four, we would suggest flying on the Embraer Phenom 300 private jet. We would land into Tenerife South Airport which is a short 25-minute drive to the Ritz-Carlton, Abama. Flights are four hours long, so if we arrange a morning departure, you could be soaking up the Canary sunshine that afternoon. For more information and bookings please visit: www.skytimejets.com or call 01452 714500.